The first three e-mails in the Russia Today leak from Blumenthal to Clinton all appear word for word in the State Department release. The first e-mail Clinton asks to have printed and she also forwards it to her deputy chief of staff, Jake Sullivan. 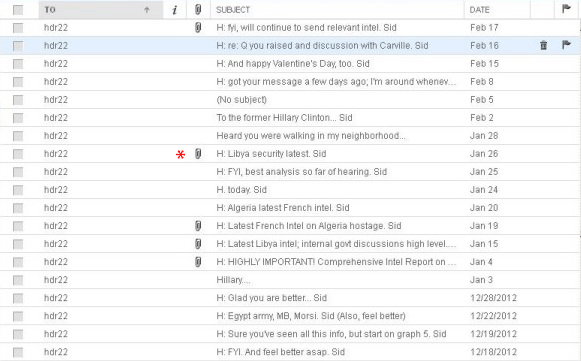 The second e-mail Clinton describes as “useful insight” and forwards it to Jake Sullivan asking him to circulate it. The third e-mail is also forwarded to Jake Sullivan. 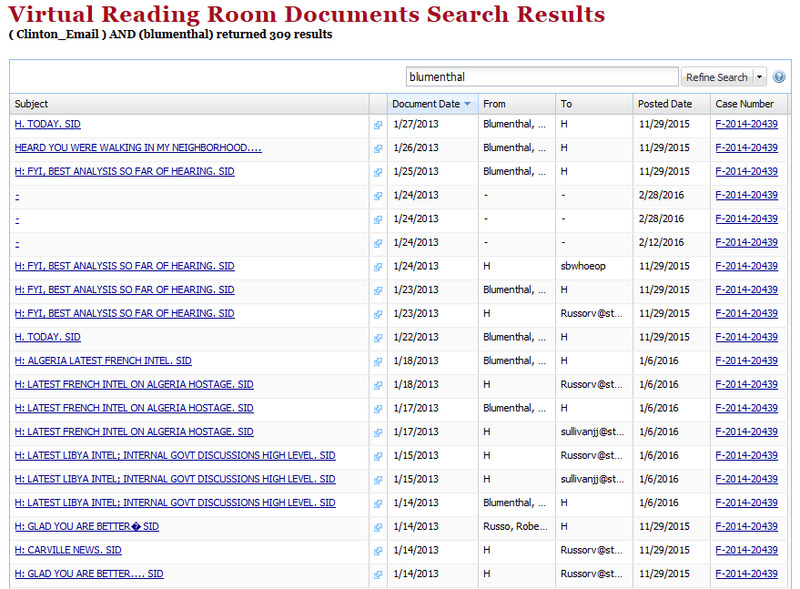 The fourth e-mail is missing from the State Department record completely. The State Department does not have a copy, and this e-mail was deleted by both Clinton and Blumenthal before turning over their subpoenaed e-mails to investigators, which would be considered destruction of evidence and lying to federal officials. This also speaks to the reason why the private clintonemail.com server may have been established in the first place. If Blumenthal were to regularly send highly sensitive yet technically “unclassified” information from his AOL account to Clinton’s official government e-mail account, it could have been revealed with a FOIA request. It has already been established that Hillary Clinton deleted 15 of Sidney Blumenthal’s e-mails to her, this discrepancy was discovered when Blumenthal’s e-mails were subpoenaed, although a State Department official claims that none of these 15 e-mails have any information about the Benghazi attack. It would seem from the subject line that this e-mail does. And it is missing from the public record.